Arthur Vaughn Johnson was born in June 1876, in Cincinnati Ohio, to an Episcopal clergyman and his wife. 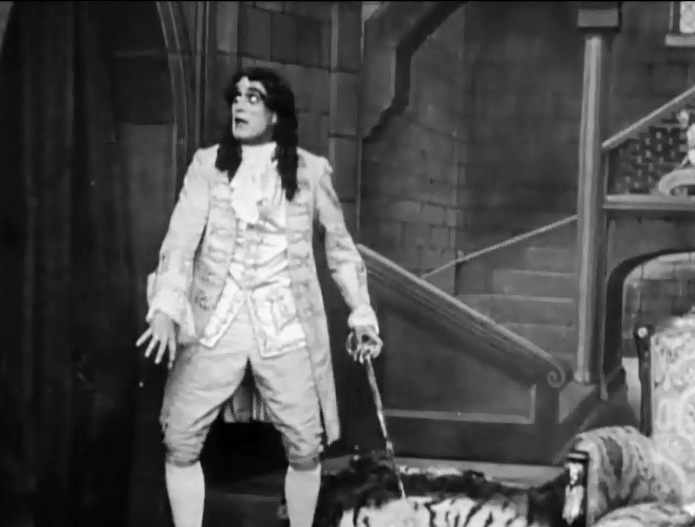 His decision to become an actor was not one that his father much approved of, but Johnson pursued his passion never the less, literally running away to join a traveling theatrical troupe at the age of eighteen. His first appearance on stage was as Tybalt in Shakespeare’s Romeo and Juliet. At six foot two and handsome, his polished and debonair manner made him a success on the stage, but never a major star. 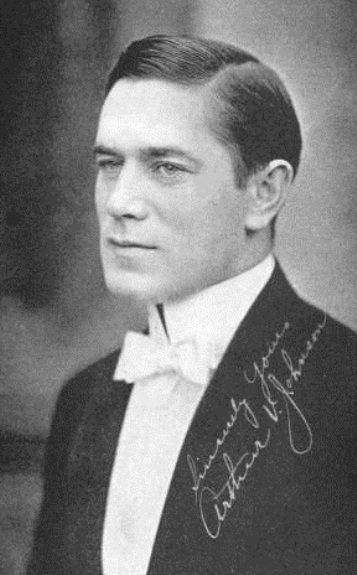 While working in New York in 1908, Johnson became one of the earliest serious actors to dare to appear in moving pictures. After making his first picture for the Edison Company in 1908, Johnson went to work for the Biograph Company in 1909. There he appeared in numerous films directed by D, W. Griffith, often co-starring with Mary Pickford and Florence Lawrence. However, when Johnson expressed his ambition to write and direct, Griffith’s reluctance to let him do either led to a parting of the ways. 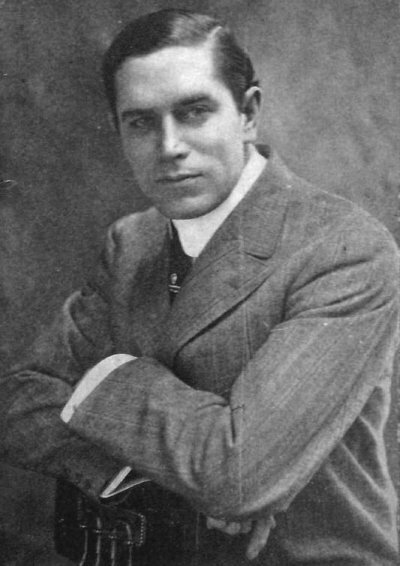 In 1911, after a brief stay with the Reliance Film company, Johnson accepted a job offer from the Lubin company in Philadelphia. 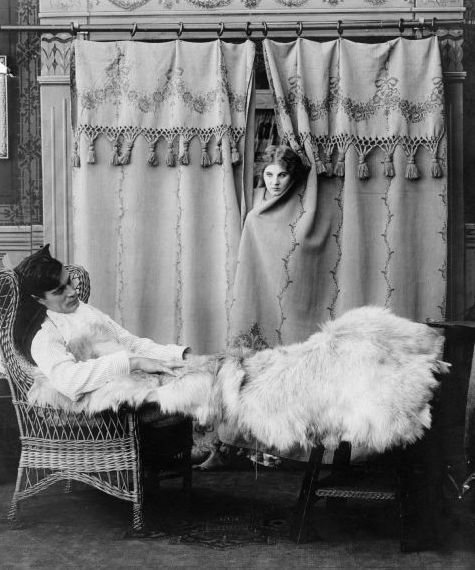 The offer contained two attractive inducements: his wife, actress, Florence Hackett, would be hired as well, and Johnson would be permitted to direct films as well as star in them. 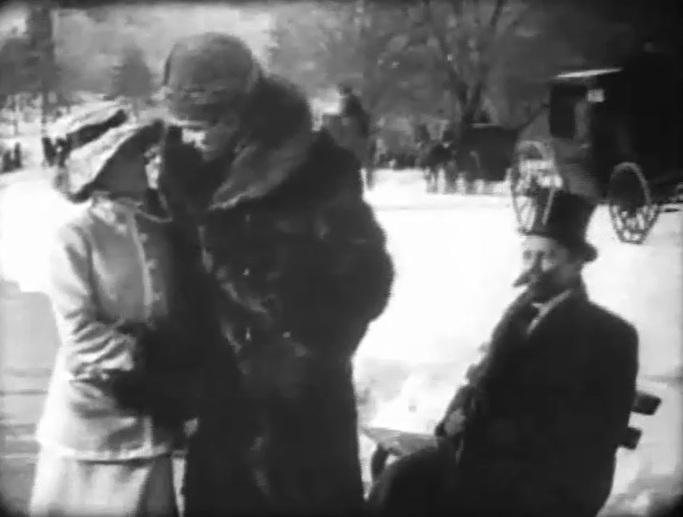 Upon his arrival at the Lubin studio, Johnson was immediately teamed up with Florence Lawrence, who had also come to Lubin and who was rapidly becoming the most popular movie star of the day. 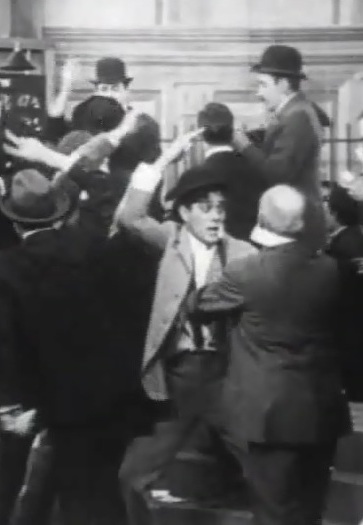 The high quality of the films that Johnson and Lawrence made for Lubin in 1911 and 1912 literally transformed the reputation of the Lubin film company. Sadly, very few of these films survive today. When Florence Lawrence left the studio in 1912, Johnson was cast opposite Lottie Briscoe. Their films were also quite successful and Johnson enjoyed widespread popularity as a matinee idol all over the world. Johnson made more than three hundred films in his career and the majority of them were made for Lubin in the four years he worked there. Johnson worked at both the Lubin studio in Philadelphia and at the Betzwood studio. His wife, Florence Hackett, occasionally appeared in his films–usually in character roles–as did her two sons, Albert and Raymond–Johnson’s step-sons. Albert Hackett remembered Johnson giving him advice on how to stand: “Don’t stand like that. Grab the stage with your feet so that nobody can push you over.” Albert later passed on that advice to his friend Jimmy Cagney in Hollywood, who said in his autobiography that it was some of the best advice he ever got. Hackett also remembered that Johnson constantly read and re-read Shakespeare’s plays and took a volume of his plays with him any time he had to travel. Johnson was a workaholic according to some accounts and so obsessed with his work that it affected his health and family life. 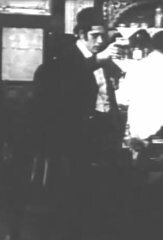 Making matters worse, Johnson also suffered from alcoholism and that also took a heavy toll on his life and career. In June 1915 his wife left the Lubin studio and took her children back to New York. Later that summer, Johnson suffered a nervous breakdown and was sent to Atlantic City to recover. But his downward spiral continued. He had several accidents while driving and was badly injured in one of them. Exhausted and reportedly ill with tuberculosis, he died at his home on Spring Garden Street in Philadelphia on January 17th, 1916. He was thirty-nine years old. Mary Pickford and Arthur Johnson in "The Way of Man" (1909), director D. W. Griffith. 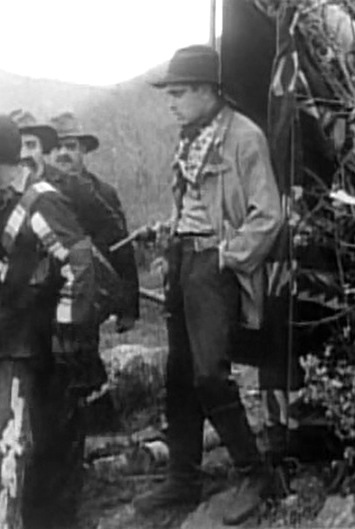 Arthur Johnson in "Her First Biscuits" (1909), directed by D. W. Griffith, cinematographer Billy Bitzer. 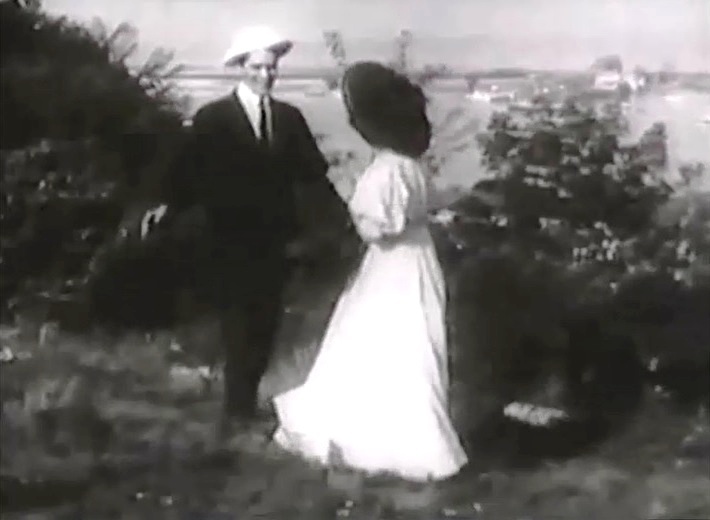 Arthur V. Johnson is happy to meet his date in "Where Breakers Roar" (1908) directed by D. W. Griffith. Arthur Johnson in "A Strange Meeting" (1909), directed by D. W. Griffith, cinematographer Billy Bitzer. 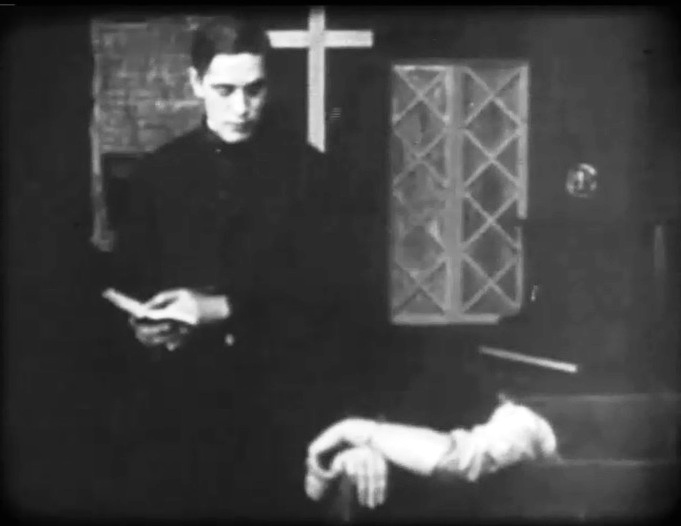 Arthur V. Johnson in "Nursing a Viper" (1909), directed by D. W. Griffith, cinematographer Billy Bitzer. 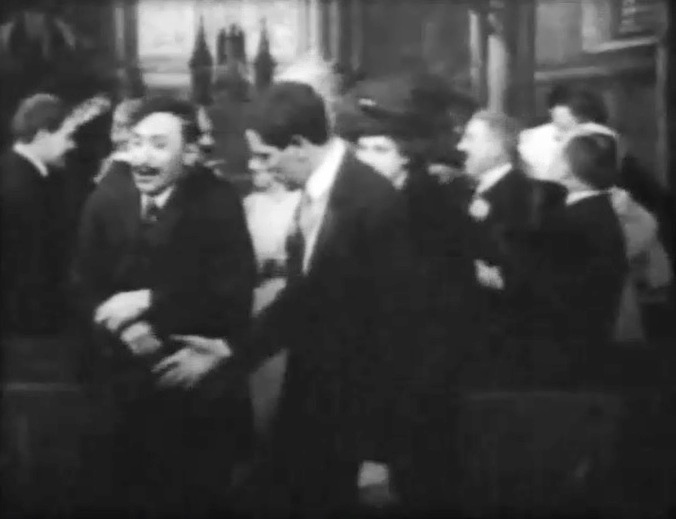 Arthur V. Johnson gives directions to Robert Harron in "At the Altar" (1909) directed by D. W. Griffith. 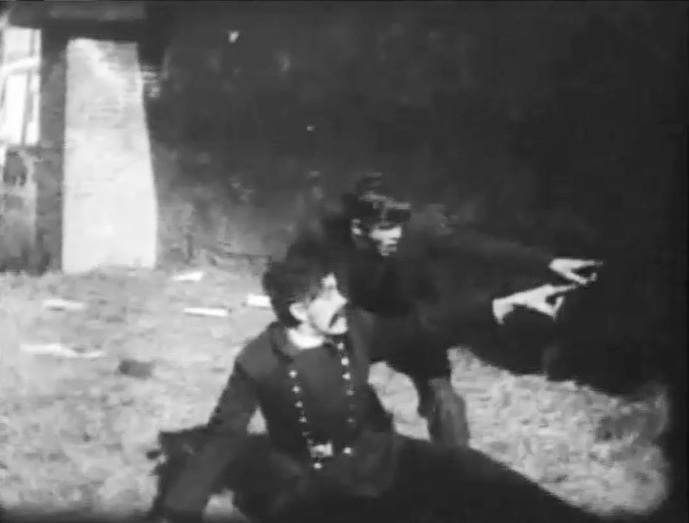 Arthur Johnson checks the poem in "Edgar Allan Poe" (1909), directed by D. W. Griffith, cinematographer Billy Bitzer. 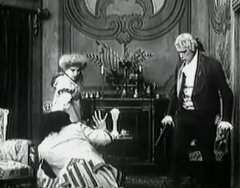 Arthur Johnson and Mary Pickford in "1776, or The Hessian Renegades" (1909) directed by D. W. Griffith. 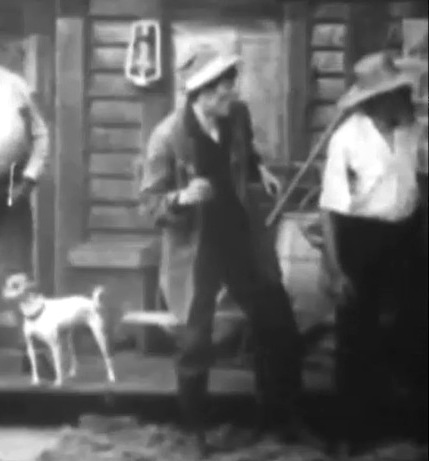 Arthur V. Johnson is the only one offering sympathy to Mack Sennett in "Lucky Jim" (1909), directed by D. W. Griffith. Arthur Johnson decides what to do with the two secret lovers in "The Sealed Room" (1909), directed by D. W. Griffith, cinematographer Billy Bitzer. 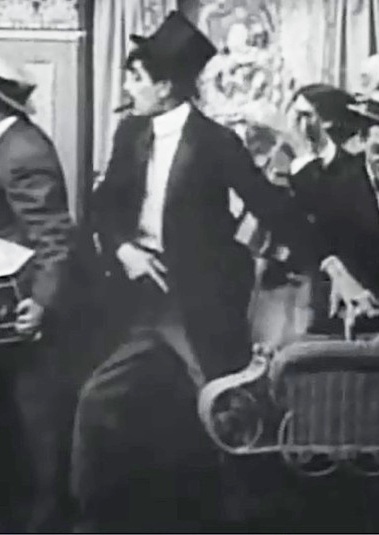 Arthur Johnson wears mustaches and smokes a cigar in "The Little Darling" (1909), directed by D. W. Griffith, cinematographer Billy Bitzer. Mack Sennett looks on as Arthur Johnson and a lady walk by in "Politician's Love Story" (1909), directed by D. W. Griffith. Florence Lawrence and Arthur Johnson are a happily married couple in "Confidence" (1909), director D. W. Griffith. Florence Lawrence makes a move to escape from captivity as her guard Arthur Johnson takes a nap in "The Mended Lute" (1909), directed by D. W. Griffith, cinematographer Billy Bitzer. Arthur Johnson in "Balked at the Altar" (1908), director D.W. Griffith. 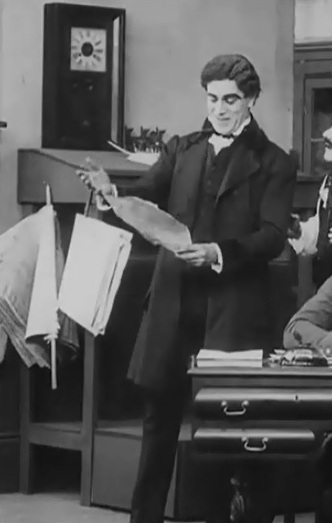 Arthur Johnson plays the minister in "The Cricket on the Hearth" (1909), directed by D. W. Griffith. 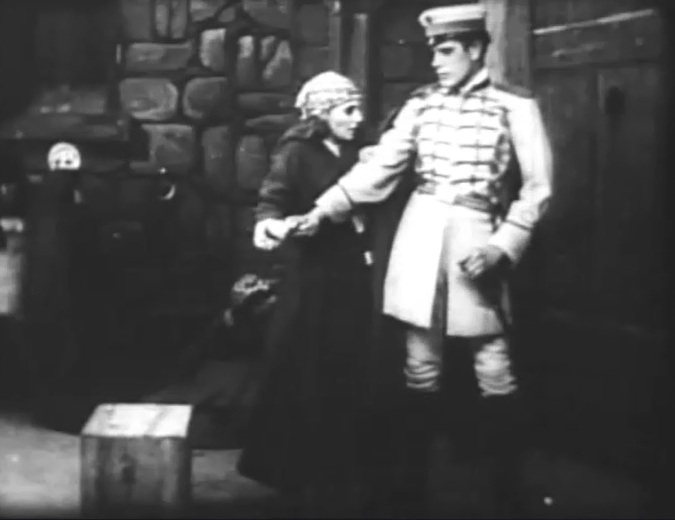 Arthur Johnson and Marion Leonard in "The Voice of the Violin" (1909), directed by D. W. Griffith. 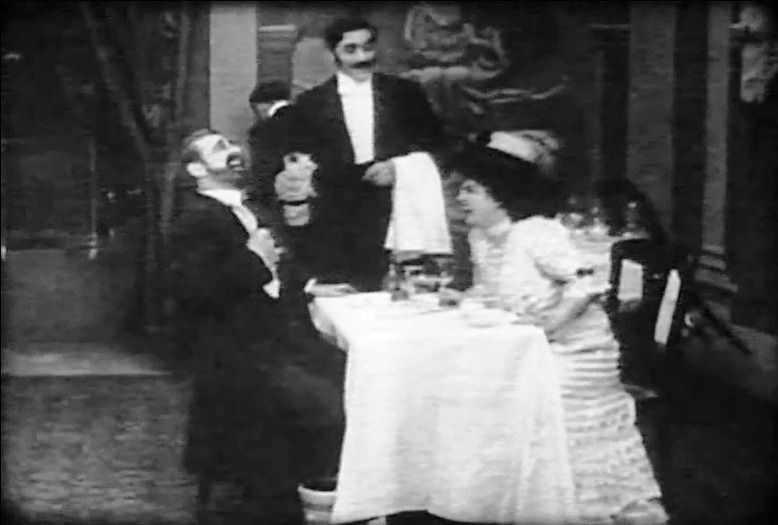 Arthur Johnson is a waiter in "The Song of the Shirt" (1908), directed by D. W. Griffith, cinematographer Billy Bitzer. 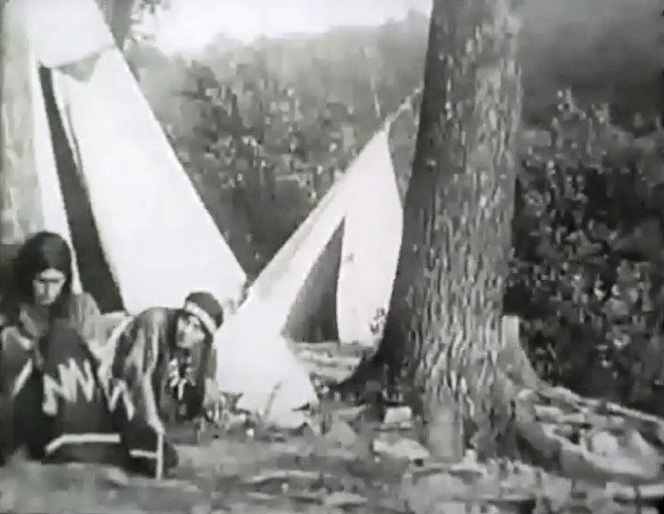 Arthur Johnson in "The Red Man's View" (1909), directed by D. W. Griffith, cinematographer Billy Bitzer. 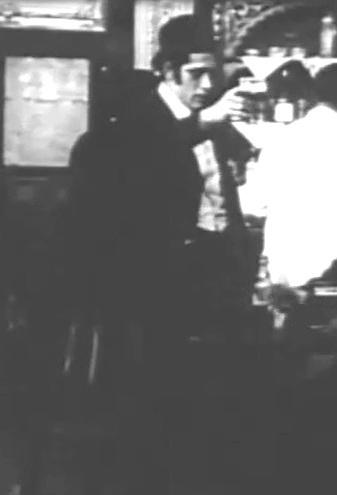 Arthur Johnson has a few drinks with friends in "A Drunkard's Reformation" (1909), directed by D. W. Griffith, cinematographer Billy Bitzer. 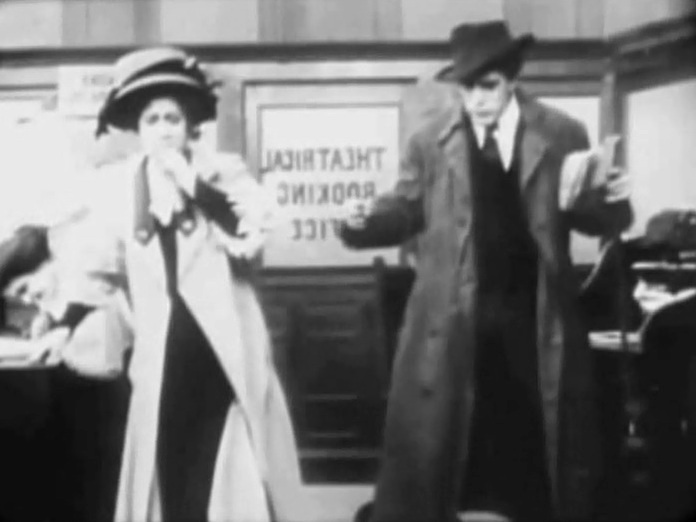 Florence Lawrence does not recognize Arthur Johnson in "Resurrection" (1909), director D. W. Griffith. 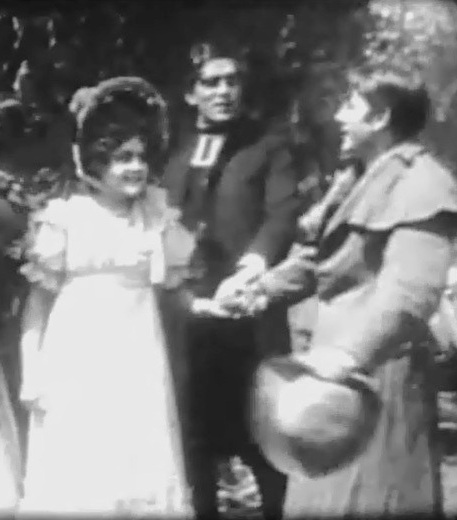 Arthur Johnson meets his love interest in "Faithful" (1910), director D. W. Griffith. 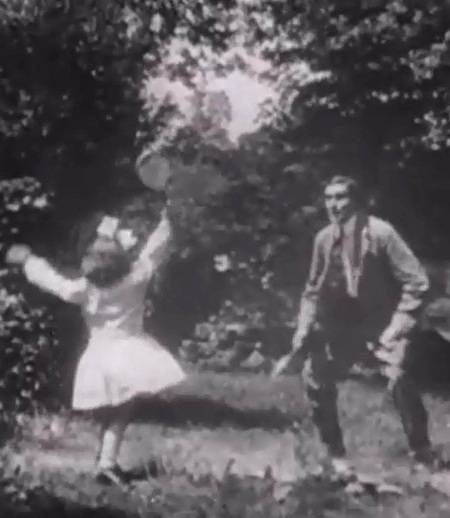 Arthur Johnson plays with his daughter in "The Adventures of Dollie" (1908), director D.W. Griffith. 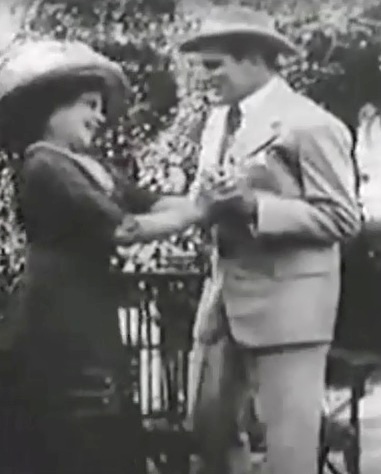 Arthur V. Johnson and Florence Lawrence in "One on Reno" (1911). Arthur V. Johnson - Sincerely Yours.